Africa is considered as the centre of radiation of antelopes and gazelles, where nearly 100 species are found but India has perhaps the most graceful antelope, the Blackbuck (Antilope cervicapra). Blackbuck is found only in the Indian subcontinent, mainly in three countries: India, where nearly 95 per cent of the population is present, Nepal, where a small population survives in the arid part of the Nepal plains or Terai, and Pakistan, where it is extinct as a free-ranging animal but an introduced population is found in the Lal Suhanra National Park in Bahawalpur, Southern Punjab province. Blackbuck is the finest representative of arid and semi-arid short grass plains that were once abundant in undivided Punjab, Haryana, parts of Uttar Pradesh, Rajasthan, Madhya Pradesh, Gujarat and down south up to Tamil Nadu. It is a denizen of open countryside, avoiding forest and hilly areas. When the Asiatic Cheetah (Acinonyx jubatus venaticus) was found in India—the last was seen in 1951—Blackbuck was its main prey, along with Indian Gazelle (“Chinkara”) in some areas. 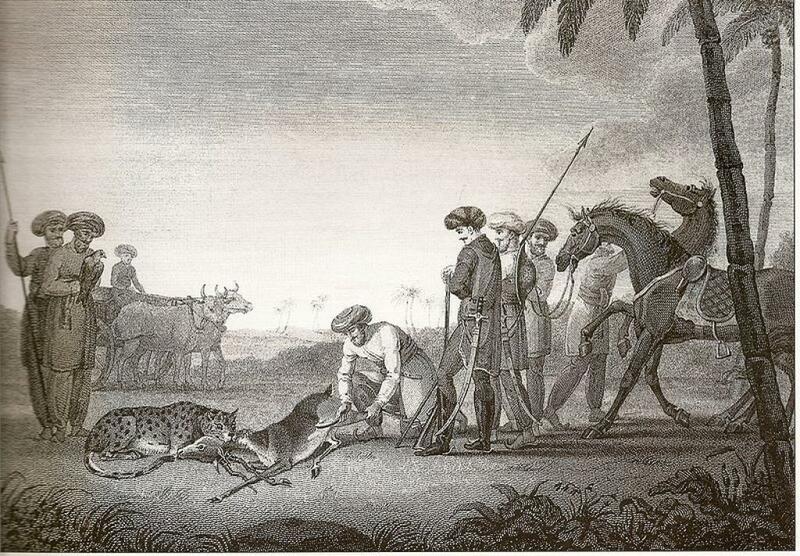 There are numerous Mughal and Rajput paintings showing Cheetah chasing a herd of Blackbuck. Emperor Jahangir, while traveling from Delhi to Agra, noted that Blackbuck were so numerous, they were never out of sight during his journey. Sadly, Blackbuck is now a rare species, surviving in small scattered herds in about 13 states of India. Possibly only 1 per cent of the former numbers survive now although distribution has not shrunk so much. It is still found from Punjab and Haryana in the north to Tamil Nadu in the south, and Rajasthan-Gujarat in the west to Odisha in the east, but nowhere in vast herds. The best numbers are seen in the Velavadar Blackbuck National Park, Bhavnagar, Gujarat where a tiny 34 sq. km protected grassland is zealously protected by the Forest Department. Another notable area is Tal Chhapar Blackbuck Sanctuary, Churu district, Rajasthan. This 7 sq km sanctuary may have about a thousand animals. Point Calimere Sanctuary in Tamil Nadu is another place to see these graceful animals. In Rajasthan, however, there are many areas such as Guda Vishnoiyan, Dhawa Doli and Kankania (where actor Salman Khan allegedly hunted them in 1998) that are protected by the Bishnoi community who consider Blackbuck sacred. Similar is the case in Haryana and Punjab where a few thousand Blackbuck are surviving in Bishnoi-dominated areas. Blackbuck is also found on the Deccan Plateau where, thanks to good protection, their numbers have increased in recent years. They generally live in agriculture-dominated landscapes, finding refuge in grassland plots created to stop soil erosion. There is only one Blackbuck Sanctuary in the Deccan where they were once found in millions, providing abundant food for the Deccani Cheetah, famous for its hunting skills, to the delight of local Maharajahs (The most famous Cheetah-khana was maintained by the Maharajah of Kolhapur). The sanctuary is the small Rehekuri Blackbuck Sanctuary in Ahmadnagar, Maharashtra. Blackbuck and Cheetah shared their grassland habitat with the Great Indian Bustard (GIB)—a species that has disappeared with most parts of its range. If we map the distribution of Blackbuck and Great Indian Bustard, both will be found more or less in the same areas, except in Western Rajasthan (Thar desert) where Blackbuck is not found. Blackbuck has to drink every day so wherever surface water is not available throughout the year as in the Thar Desert, it is absent. While the GIB is a facultative drinker—drinks water if available, otherwise, it can live without water for many days, or even months. Poaching, habitat destruction, habitat fragmentation, urbanisation and neglect are the major causes for the disappearance of Blackbuck. A new menace has appeared in the form of free-ranging village dogs which now roam all over India, killing Blackbuck, Chinkara, Nilgai and eating eggs of the Sarus Crane, Black-necked Crane (in Ladakh) and many ground-nesting birds. There is an urgent need to control their numbers before they exterminate some species. I wonder how could you miss mentioning of Ranebennur Blackbuck Sanctuary in North Karnataka which is spread in 120sq Km area and has about 6000 blackbucks !! !